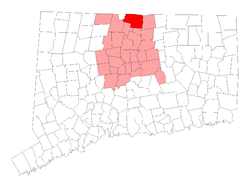 A half-hour to the north of our West Hartford dental clinic for kids is the town of Suffield, CT. Located in Hartford County, Suffield is home to many young smiles. We at CT Pediatric Dentistry believe in keeping those smiles healthy, and parents from Suffield, Connecticut agree that our CT Pediatric Dentistry office in West Hartford is an excellent place to bring children and teenagers for their regular check-ups and other dental services. Our dentists have years of education, training, and experience regarding exactly how to treat children specifically. The goal at CT Pediatric Dentistry is to keep children smiling while they're here, and show them that there is nothing to fear at the dentist's office. 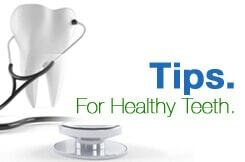 We encourage young people to practice good oral hygiene and to avoid the sugary and starchy foods and beverages that cause tooth decay, because we feel that preventative measures are the best way to keep young smiles big and healthy. We realize, though, that even the best preventive care cannot stop problems from occurring in the mouth, and we are here to help when that happens. Filling cavities and applying crowns, as well as tooth extraction and other services are made easier for children when they visit a pediatric dentist, as the environment is soothing to children and we communicate with them so that they understand there is no reason to be afraid. For those unfortunate times when a dental emergency arises, we are here to help. One of our pediatric dentists is always on call after-hours in the event that your child has a tooth knocked out, has an acute toothache, or some other qualifying dental emergency. We offer this emergency dental care at all hours because we know how important the well being of a loved one is to you, and we want to be there to help during a difficult situation. Call us during normal business hours to schedule an appointment, but when the unexpected happens and your child is in pain, you can phone us at 860-523-4213. We hope you give us the chance to let you and your child experience our dedication and kindness. We treat children throughout Connecticut with comfort and reliability and hope to see your kid as a patient here soon. We recommend bringing a child in for their first dental visit as soon as they have their first tooth start to come in, so we can evaluate them and ensure that everything is going well and give you any information you might find beneficial. We want to see you and your kid smile, and we are here to keep that kid's smile bright and healthy.